The Pearl (Abby) and Of Mice and Men (Jenny), both by John Steinbeck I know, I know, the last time you read John Steinbeck you were probably wearing ribbon barrettes and drinking Tab. Abby had a real love affair with Of Mice and Men when she read it in her eighth grade English class, so much so that she begged me to read it, too. “I already read it,” I told her. “When I was your age.” Yeah, but do you really remember it? Do you remember the ending? I confessed that I sorta remembered the gist of it but not the details. I remembered that it was about two friends named George and Lenny but I did not remember how simply written and perfectly tight the story was. It was hundred pages, a slip of a book, almost like a fable, about characters you cared deeply for after the briefest of introductions. I read it in one sitting on a plane (while Abby sat next to me devouring The Pearl). My favorite part? Being able to have a genuine conversation with Abby about the story – and yes its heartbreaking ending. My goal is to read an assigned book with her again this school year (especially since I’m pretty sure Macbeth is on the syllabus) and I highly recommend the strategy to you as well, no matter what age your kids are. 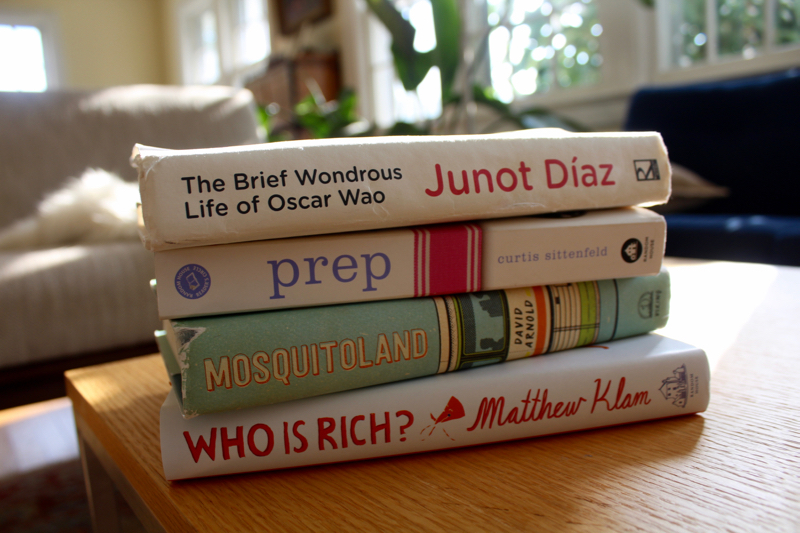 The Brief and Wondrous Life of Oscar Wao, by Junot Diaz (Jenny) We’ve been coming to Andy’s family’s beach house for almost twenty-five years and one of my most favorite things about it is the random assortment of books that have accumulated over the decades. (And yes, the ca. 1995 TV above which we’ve maybe turned on six times in the last ten years.) 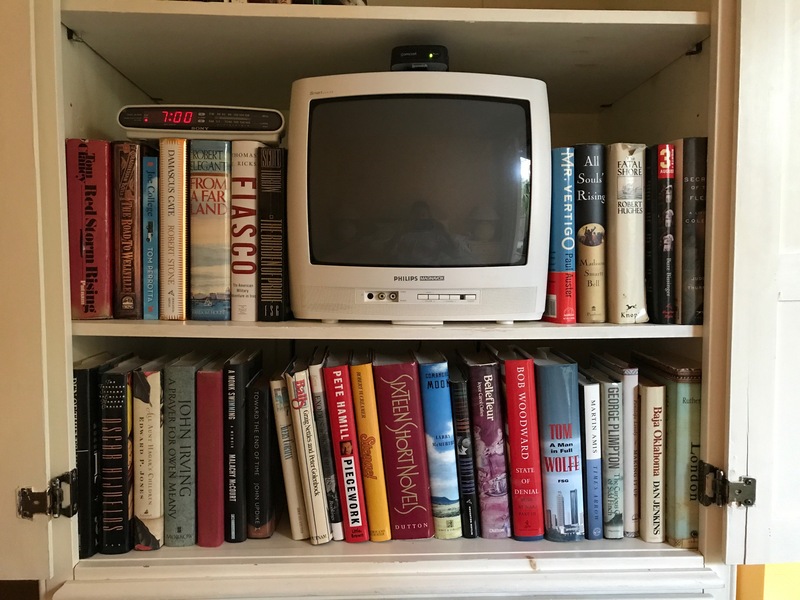 In the beginning, the selection was exactly what you’d expect out of a beach house library: John LeCarre and Tom Clancy with a little 80’s White Guy Canon mixed in: John Updike, John Irving, George Plimpton, Martin Amis, Pete Hamill. Gradually, as we started leaving behind books we’d brought on vacation, it started resembling the official library of Pulitzer Prize winners: Oscar Hijuelos, Elizabeth Strout, Edward P. Jones, Junot Diaz, etc. It was Diaz’s The Brief and Wondrous Life of Oscar Wao that Andy pulled out and handed to me when I told him I forgot The Return back in New York. I might be the last person on earth to read the story of an obese Dominican living in Jersey that is as wickedly funny as it is heartbreaking, but boy am I glad I didn’t let that stop me. What a voice. What a storyteller. Every section of this book feels like a full-length feature film. Mosquitoland, by David Arnold (Abby/Phoebe) Technically this is the story of a runaway named Mim. Where is she headed? Away from her father (and his girlfriend) and in the general direction of her mother who is dying of cancer. At least that’s the initial destination before she ends up wandering and trying to figure it out for herself. 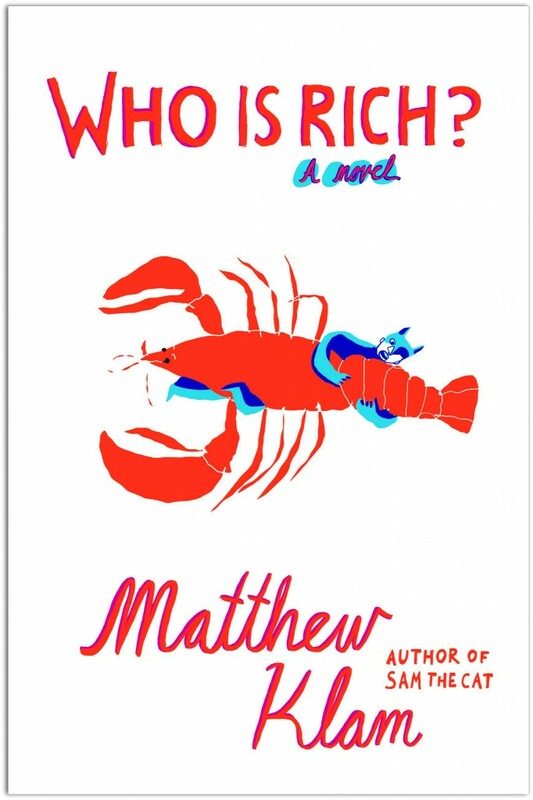 As Phoebe just said to me when I asked her why she liked it so much: “What teen can’t get behind the story of feeling lost?” Kids who like John Green (especially Paper Towns) will like this, too. Friday Night Lights, by H.G. Bissinger (Abby/Jenny) This summer Abby has been hooked on Friday Night Lights the TV series (which makes her the fourth and final DALS family member to join the FNL superfan club) so I figured she’d love the nonfiction book the series was based on, about high-school-football-obsessed Odessa, Texas. For whatever reason (let’s call it the “No Tim Riggins” reason) she didn’t get into it, but that doesn’t mean you shouldn’t. Bissinger is, you guessed it, a Pulitzer-Prize winning investigative reporter and uses football as a lens to view the hopes and crushed dreams of small-town America. If you loved The Last Shot, by Darcy Frey or In These Girls Hope is a Muscle, by Madeleine Blais, you’ll love this, too. I stock up on Blue Plate when I am in the South, but will try Duke too! I so enjoyed your Instagram posts from Kiawah. I grew up going there and HHI and couldn’t love the area more. I’ve added ‘Who is Rich?’ And ‘Prep’ to my list. I’ve found myself on a revolution kick this summer; so after trudging through massive books of countries falling into anarchy and chaos, some summery reads will be a respite. Jenny, I have to tell you that, based on your recommendation 3 years ago, I got my then-7 year old son the Bone compilation book. It really sparked a love of books in him, especially graphic novels. He returns to that book again and again, mostly when he’s between books (Percy Jackson and Amulet have been faves). This summer, as we were taking a train through Italy, my husband, my son and I all read Wonder and Pluto. It was pretty cute to see who was fighting back tears and when. Anyway, I’ve committed to sharing in my son’s reading this year (5th grade) and I can’t wait! Thanks for the inspiration! (i can get Duke’s mayo where I live–DC–but i usually bring back some boiled peanuts and pimiento cheese (palmetto brand) from charleston). cheers! Awads – my son raved about Wonder and got both me and my husband and his grandparents to read that book. Totally worth it! Loved “Friday Night Lights” when I read it in high school- and re-read it about 10 years ago. Loved “Prep” when I read it in my early 20s. I may be the only one, but I could not get into “The Brief and Wondrous Life of Oscar Wao”. My book club read it several years ago and it was just not my thing. But then again, I am one of the only people I know who hated “Curb Your Enthusiasm”. This summer I have really enjoyed “The Women in the Castle” by Jessica Shattuck and, like at least half of America, “Hillbilly Elegy” by J.D. Vance. I also reread “Back Bay” by William Martin on our beach vacation this year. Currently reading “The Alice Network” by Kate Quinn. Love the book reviews and recommendations. Keep ’em coming! Hooray – a new post and it’s about books! Love that you are reading assigned books with your daughter! My mother did this with me and each year she’d hungrily grab the assigned reading list and cherry-pick her favorites to read along with me. Then she’d start dinner conversation with lines like “So, have you gotten to the part in Brave New World where they give the kid the Soma?” “What did you think about rabbit rebellion in Watership Down? Have you seen the movie yet, oh it’s so violent, but that book almost doesn’t even need a movie with the way he writes.” I’d roll my eyes and sigh heavily. I really hated it back then knowing she was just trying to get me to talk and find some common ground with a salty 8th grader. But now that I am a parent, I am doing the same exact thing with my son, but he loves it when I read a book that he raves about and all of his book recommendations so far have been spot on. Oooh, I need to read Oscar Wao. My daughter did her Senior Honors Thesis on it, and I haven’t read it yet. Thanks for the reminder. Just for fun, you should watch the episode of “The Middle” that involves the reading Of Mice and Men. It’s too funny! i knew that autocorrect was going to get me…thanks. all fixed. That little screen makes the bookshelf look so adorable! I had an Amazon credit because my eclipse glasses were not proven to be safe by the manufacturer. So- I bought Prep, Who is Rich, and The Moth: All These Wonders. I read Mrs Fletcher by Tom Perrotta last week after I heard about it on NPR. I didn’t care for it at all, but it was out of my usual comfort zone, so I’m glad for the experience anyway. Speaking of the tomato sandwich, I just pulled out HTCE and made my first one ever! My gosh! I really loved Prep. I read it when I was a teenager and it still resonates now. You should definitely pickup American Wife by Curtis Sittenfeld as well. As a person that loves both her and Salinger I would have to say that Phoebe is spot on with her assessment of the two authors. Their raw emotion is something I gravitate towards. I have young children 1, 3 and 6 and while I don’t get to read as much as I would like I do get to revisit some wonderful books with them. I can’t wait to share a syllabus with my kids. PS Check out NEW BOY, I think you will like it immensely. Duke’s has made it into mainstream supermarkets as far North as Maryland. So, if you are ever down around DC, you can resupply a little closer to home. It is the best.